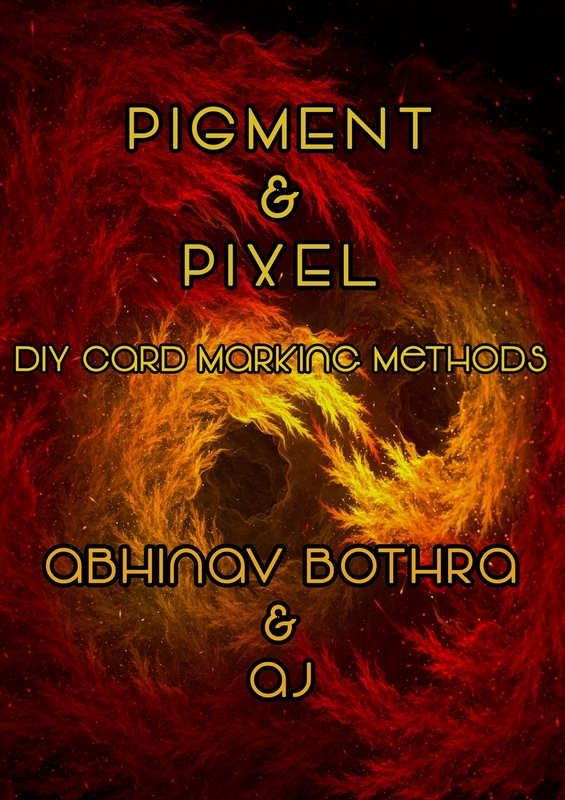 Today, when you order "Pigment & Pixel by Abhinav Bothra & AJ", you'll instantly be emailed a Penguin Magic gift certificate. You can spend it on anything you like at Penguin, just like cash. Just complete your order as normal, and within seconds you'll get an email with your gift certificate. Pigment : You can identify the card from upto 4 feet away (depending on lighting conditions). ok so for sometime now I've wanted a method to make a good invisible marked deck. i picked this up because it has two methods for a diy marked deck. the first takes about 15 mins and if a spectator looks at the backs they will probably see the markings. keep in mind i have tried this on real people and they do see it. the second method takes much longer to make and while the spectator can't see it it requires a lot of stuff to memorize to be able to use it. overall i won't use either method and i recommend you find something else.